The technology underpinning the various types of Telehomecare available has been current for more than a decade, and the time is right for an evaluation of both the technology and the effectiveness of Telehomecare as a system which contributes to the delivery of care within the home. The field is complex, encompassing multiple applications which monitor things such as task oriented behavior; lifestyle; vital signs; environmental extremes (such as carbon monoxide levels); and passive personal emergency response systems. All of these applications are based upon the collection of data within the home by a device which translates that data into information and transmits it to an external location, prompting some type of action if necessary. This book brings together the views and experience of a wide variety of contributors involved in the research and application of Telehomecare. It is divided into two sections, containing contributions from the United States, the United Kingdom and the Netherlands. Each section, comprises chapters written from three different perspectives: research-based, business and the implementation of care. The authors include academic researchers, policy experts, individuals with direct business experience and care providers from each of the three countries. 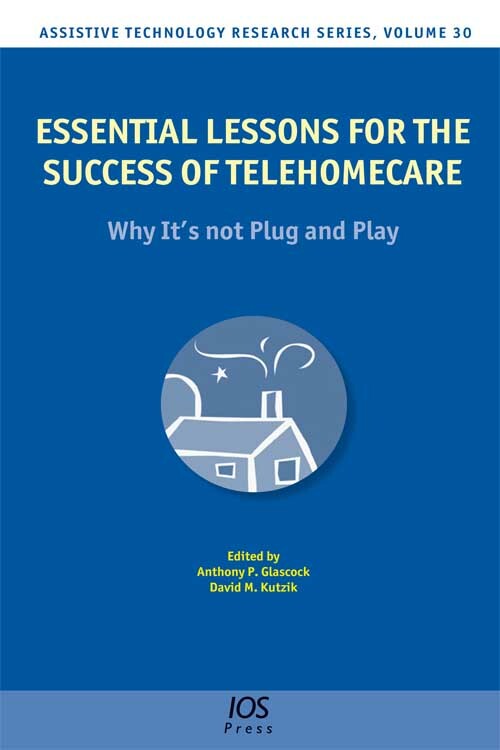 The book reflects on where Telehomecare is today and speculates as to what the future might hold for the field. It will be of interest to all those involved in caring for people in their own homes.